Much like the once-powerful La Cosa Nostra, Israeli crime families are known for committing acts of violence. Rival syndicates in Jerusalem and Tel Aviv fought for years, leaving a trail of blood all over Israel. A federal indictment charging four men with trying to extort money from outlet mall kiosk operators has brought to light the heightened activities of the much-feared Israeli mob in Las Vegas. Among those charged in the April 27 indictment is Israeli-born Moshe Barmuha, a 37-year-old Southern California man whom law enforcement authorities have linked to a violent Israeli crime syndicate. The kiosk operators, two Israeli-born Las Vegas businessmen, each told authorities separately that they believed Barmuha was a member of an Israeli crime family, according to a federal criminal complaint associated with the indictment. Authorities revealed in the complaint that Barmuha has a lengthy criminal history in Israel that includes convictions for drug trafficking, burglary, battery on a police officer and causing intentional injury with a pipe bomb. Barmuha’s lower right arm was amputated after the bomb prematurely exploded underneath a rival’s car, the complaint said. Authorities said Barmuha’s appearance in Las Vegas is a sign that the Israeli mob has kept its grip on street rackets, despite a federal crackdown seven years ago. In this country, the crime families are involved in traditional rackets, such as loan-sharking, extortion, money laundering, prostitution and illegal gambling, authorities said. But what sets them apart from other organized criminals is that their activities in Las Vegas and elsewhere in the country evolve from lucrative illegal trafficking in the club drug Ecstasy, Salinas said. Israeli hoodlums import about 75 percent of Las Vegas’ Ecstasy, which is popular on the Strip nightclub scene, now one of the biggest adult playgrounds in the world, Salinas explained. In 2003, as part of an investigation coordinated out of Los Angeles, where most of the Israeli crime figures in the West live, Drug Enforcement Administration agents in Las Vegas uncovered the first evidence of the mob’s local operations. With the help of court-approved wiretaps at, among other places, the Las Vegas home of one of the crime family members, agents documented efforts to extort cash from a Beverly Hills luxury car dealer, launder money through Miami lawyers and set up drug deals from here in various parts of the world, including Belgium, a haven for Ecstasy distribution. At the same time, agents observed some crime family members living it up like high rollers on the Strip. Israeli mob leaders targeted in the investigation were later indicted in the spring of 2004 on extortion and money laundering charges in Los Angeles. Since then, however, as some of the defendants went to prison and others cooperated with the government, law enforcement authorities have reported little Israeli mob activity in Las Vegas — until last month’s extortion indictment. Barmuha’s name did not surface in the earlier investigation here. Local businessmen Moshe “Moshiko” Ozana and Moshe “Chiko” Karmi found out firsthand what it’s like dealing with someone of Barmuha’s reputation. The two business partners sell small electronics and cosmetics in kiosks at local casinos and outlet malls, authorities said. Other than their initials, the identities of Ozana and Karmi were not disclosed in last month’s six-count extortion indictment, which also charges Barmuha and his co-defendants with racketeering. But their names were made public in the federal complaint, which lays out the alleged extortion scheme. According to the complaint, filed by Peter Lazaro, a U.S. Immigration and Customs Enforcement agent, Barmuha became involved in a dispute last year between Ozana and Karmi and one of their former partners, Yakov Cohen, over a cosmetic kiosk operation. Cohen 24, of Las Vegas, claimed he was owed thousands of dollars. Cohen has been charged in the extortion scheme with Barmuha, along with two Russian-born brothers, Ruslan Magomedgadzhiev, 30, and Murad Magomedgadzhiev, 26, both of Southern California. All four men are in federal custody. Las Vegas police learned about the plot from retired detective Robert Allen, who had given Ozana a polygraph test. Ozana took the test to try to prove his innocence to Cohen and Barmuha, whom he claimed were trying to strong-arm him, according to the complaint. Allen told police that Ozana had alleged he and his partner were threatened by Barmuha, whom Ozana believed to be “a high-ranking member of an Israeli organized crime family,” Lazaro wrote in his complaint. Las Vegas intelligence detectives and Los Angeles detectives familiar with Barmuha launched an investigation that eventually included federal authorities, among them Lazaro at ICE, which declined to comment on the case. In a September phone conversation between Ozana in Israel and Barmuha in California, Barmuha was particularly graphic when talking about a threat to Karmi, Lazaro wrote. “Ozana stated that Barmuha stated that ‘he was going to kill him, chop him up, cut him up like wood and take his fingers out,'” Lazaro wrote in the complaint. A month later, the agent wrote, Barmuha came to Las Vegas to meet with Ozana, who by this time was so rattled by Barmuha’s words that he refused to sit down with Barmuha in his room at the Palazzo. Ozana wanted to meet in a public area of the resort. Karmi also received threatening notes from Barmuha, the complaint alleged. Lazaro wrote that Barmuha left a final note for Karmi with no words, just a circle with a cross inside, indicating a rifle scope. After he received the last note, Lazaro said, a frightened Karmi went to police and sought protection, but an officer told him the notes themselves were not a crime. The officer told Karmi to buy a gun, which he ended up doing. In January, the Russian brothers assaulted Karmi near his home, the complaint alleged. While he was being beaten, Karmi pulled out a revolver and fired one shot, causing his assailants to flee. As they ran away, Karmi fired another shot that hit one of his attackers in the buttocks. “Karmi remains very afraid of Barmuha and is currently in hiding in fear of his safety,” Lazaro wrote. Throughout the ordeal, suspected Israeli crime syndicate associates, some known to Ozana and Karmi, also contacted the two men on Barmuha’s behalf, hoping to persuade them to pay Barmuha and Cohen the thousands of dollars they claimed they were owed, the complaint said. In March, a cooperating government witness secretly recorded a conversation with Cohen discussing Barmuha’s reputed Israeli mob ties. Later that month, Ozana recorded a conversation with Cohen and turned it over to authorities. “Ozana asked Cohen why he brought the Mafia in to settle the dispute,” the complaint alleged. Barmuha’s Los Angeles lawyer, David Kenner, who has represented suspected Israeli crime figures in the past, did not return phone calls. Chesnoff said Cohen also has no history of any mob connections. At a detention hearing in federal court last week , prosecutors persuaded U.S. Magistrate Judge Robert Johnston to hold off on releasing Cohen from federal custody until he provides more information about his finances. Assistant U.S. Attorney Kimberly Frayn said Cohen failed to tell authorities that, for months before his arrest, he was consistently withdrawing money from a $4 million bank account in amounts under $10,000. She accused Cohen of showing “signs of deceit” in not disclosing the account. As a side note….. it’s interesting to see that one of the defendants does not even speak English…..
Makes one wonder what his status is, and whether or not he is even legally in the United States. And the “victim” kiosk owners are criminals as well. Everyone and their brother knows about the ILLEGAL Israeli kiosk workers, or at least the should! 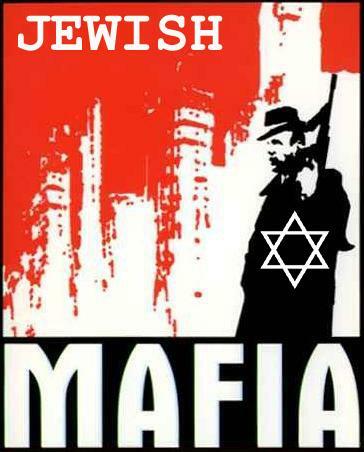 the Kosher Nostra is more elaborately coast to coast than the Italian mob, mostly comprised of Russian jews from the former Soviet Union, they came here and set up all sorts of criminal enterprises, mostly book-making and prostitution, but it even goes into CIA turf with the narcotics trafficking, as well. Israel is a growing source of heroin in the middle east, by the way, according to INTERPOL. Illegal kiosks are everywhere and in your face when we go shopping. They barely speak any english and try to flirt, stumbling words and shifty eyes. It reminds me of the history of the peddlers that first came to the United States – same blood, different faces – but overall, the exact same behavior which was back in 1786-1800’s! Off the boat they came and right away the same behavior as explained in the article. Sad. When I’m approached by Israeli “Art” students in mall kiosks selling Palestinian Dead Sea Salt Crystals, I take them into my confidence and tell them, “I think I saw some undercover police or FBI agents in the Food Court following you.” The look in their eyes, priceless! Personally, I’ve never encountered one of these ‘illegal’ kiosks in a mall here in Ottawa, but I wonder … if people are encountering them, and they are such offensive things … well (I don’t want this to sound too snarky, but whatever), why don’t you report them? The allegation is that they’re illegal, right? So, if they are breaking a law, find out who has jurisdiction over enforcement and … get them to enforce. Call the FBI if you have to, or the State Police. Call the State Department if nobody is doing anything – but, be sure that the business doesn’t in fact have an actual license or you might find yourself with a ticket for harassment or, even worse, getting arrested for making a false report (not to mention the civil suit that could result should the business owner decide to sue fore harassment). There … the snark was contained. Illegal? Really … it never ceases to amaze me that people can watch ‘illegal’ things going on, write about them, complain about them, and yet the never take a moment to do a damn thing about them. I sometimes wonder if these are the same people that complain after an election about how awful the results were, but then proclaim, ‘I don’t vote – the process is corrupt …’ or, ‘my vote won’t count,’ or something to that effect. It is the height of intellectual obesity … a mind so full of ideas, arguments and debates yet the body is paralyzed with inaction, unable to take any practical steps towards solving a problem that they find themselves facing. It is time to lose some weight and inject some action into the equation. So … if you are aware of an illegal business being run by these people, why haven’t you reported them to the authorities? It isn’t like you have to do so in front of them – they have these new-fangled devices called … oh, I forgot the name … you use them to … oh – telephones! yes, you call people, like the police, with them and communicate using them – you don’t have to show your face. If you are worried about anonymity you can even use a payphone. Of course, if you are that paranoid you probably believe that Mossad is reading your email and monitoring your Internet usage, in which case, don’t bother … they already know that you know that they are there … you’re going to die and there’s nothing you can do to stop them. The Mossad agents just left. I apologize for impugning their character (mamzers) and for implying that they would kill anyone who knew anything about illegal Israelis working in the United States or Canada (or any other country for that matter). I will not mock the omniscient, omnipotent, omnipresent Mossad and their ability to reach out and get those who cross them or disbelieve their awesomeness (I just did, didn’t I … stupid dorks, they forgot to say ‘please’ when they asked me to stop … NARF!). Oh well … guess they weren’t so scary after all … Sorry Moishe … sorry Yussel … putzs!